Satish has joined the ALMT team to strengthen, grow and expand the emerging areas of joint ventures, offset documentation, structuring for clients in defence, aerospace and avionics apart from strengthening ALMT’s strong and highly regarded corporate practice. Satish has completed his graduation in Commerce (B.Com) from the Ness Wadia College of Commerce, University of Pune, Pune in 1995. He went on to take his Masters in Personnel Management (MPM) from Neville Wadia Institute of Management Studies and Research, University of Pune, Pune in the year 1997. Thereafter, in the year 2000, he went on to complete his Bachelor’s degree in Law (LL.B) from Symbiosis Law College, University of Pune, Pune and was admitted to the Bar in the year 2001. As soon as he graduated as a lawyer, Satish joined Dr. Kainth and Associates, Bangalore, in 2000. He went on to be a Partner at Dr. Kainth and Associates in 2005. He now joins ALMT Legal, after the tragic death of Dr. Kainth. Satish comes with an extensive background of advising and structuring joint ventures in India, advising a number of clients in establishing their presence in India through incorporation of Companies and/ or setting up branch/ liaison offices. 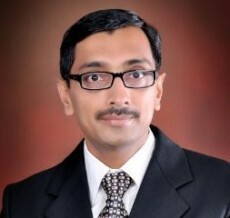 He has also been involved in taking approvals and reporting with the Foreign Investment Promotion Board and Reserve Bank of India apart from handling routine Company law compliances, FEMA compliances including Compounding matters before RBI, Conducting Due Diligences in an expansive career spanning about 13 years. His recent transactional and structuring expertise in the defence, aerospace and avionics sector, especially with a focus on defense offsets, brings added value to the firm’s practice.